The larger size and interesting rough textures of Root Advent Timberline Pillars are designed for places where a stronger visual presence is desired. 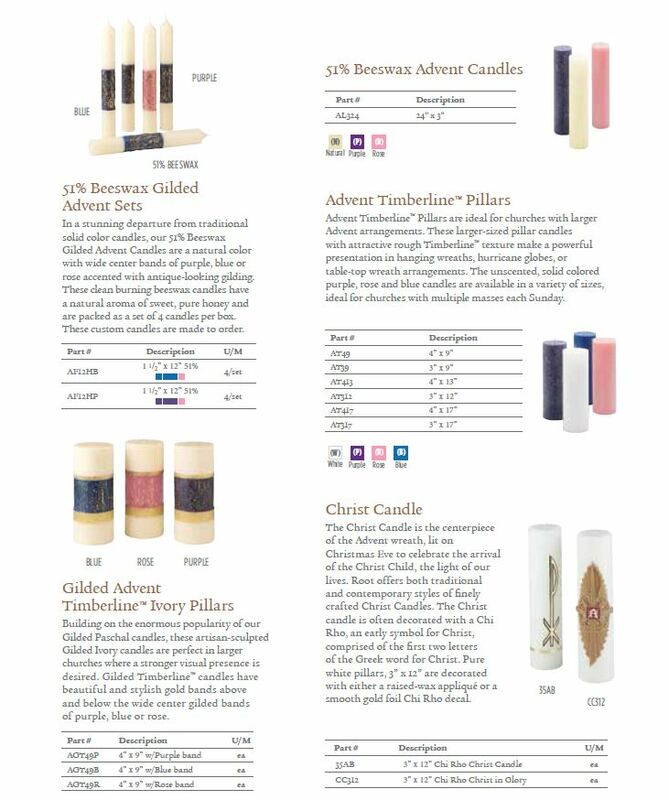 Advent Timberline Pillars are perfect in larger churches and in hanging wreaths or hurricane globes. This candle is ideal for churches with multiple masses each Sunday.